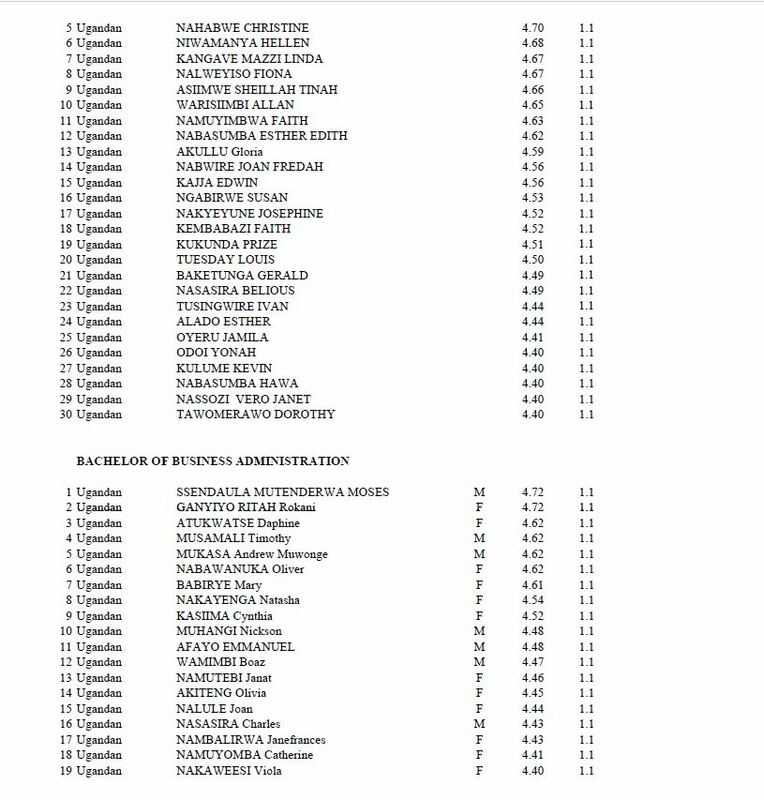 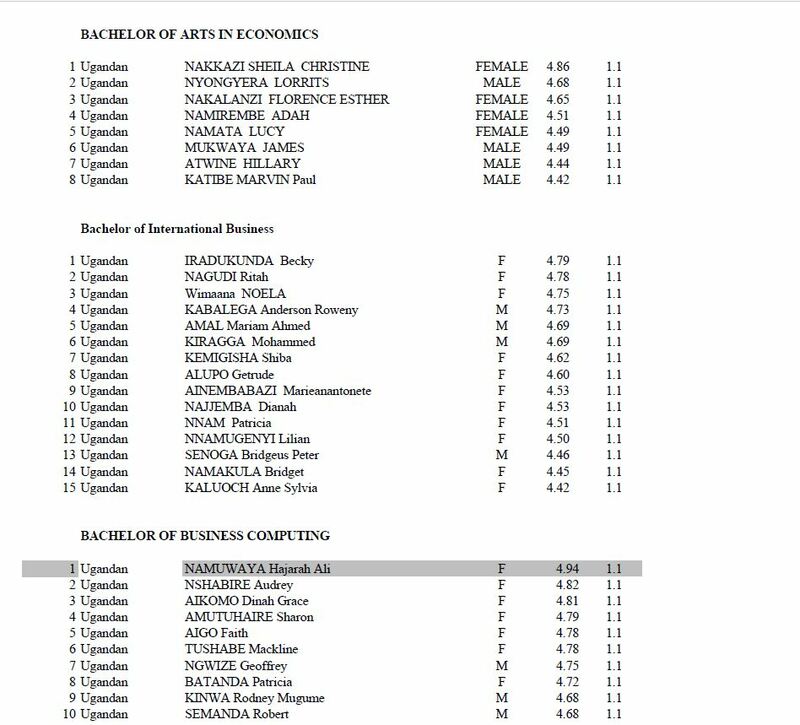 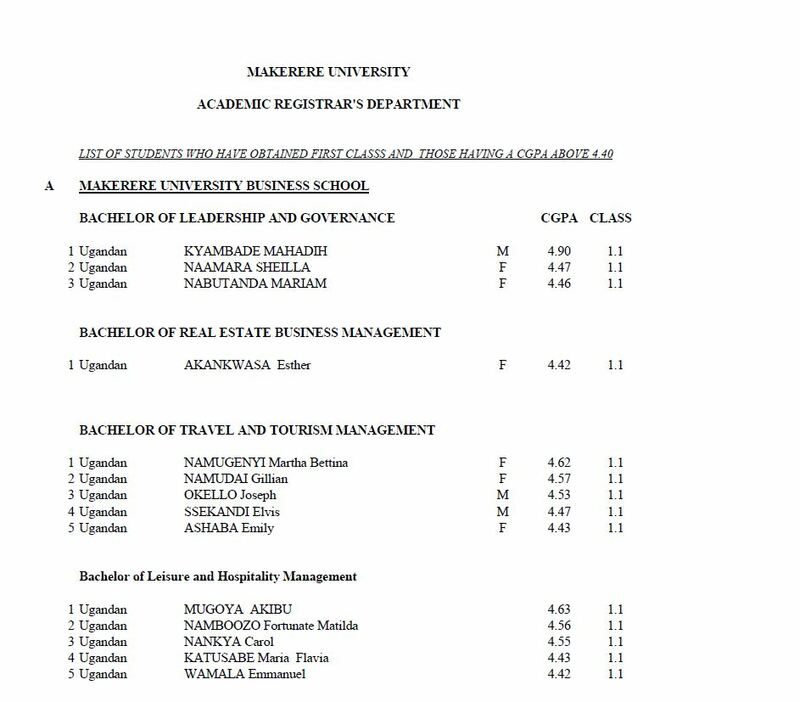 KAMPALA – The department of the Academic Registrar, Makerere University has released the list of candidates who attained First Class Degrees. 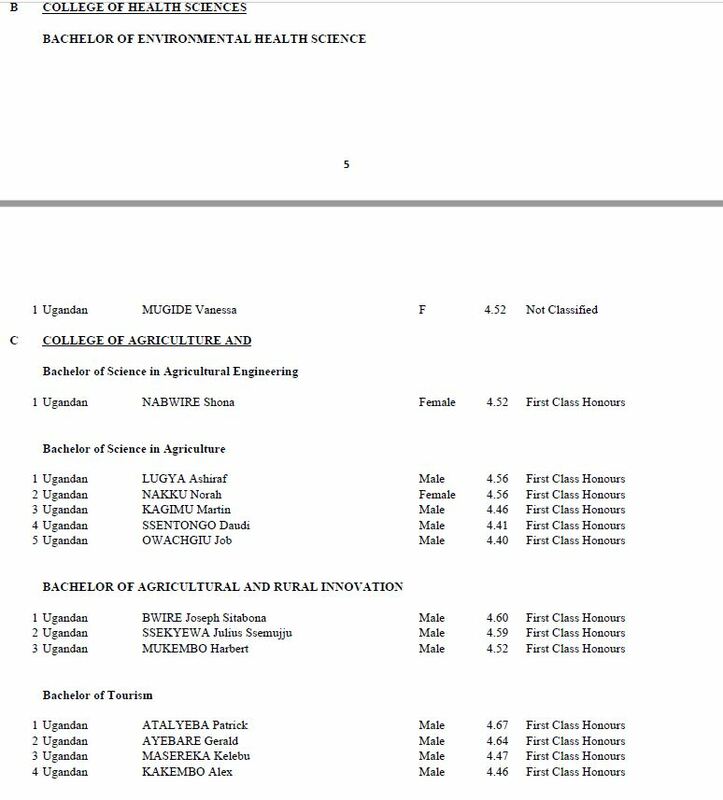 The 69th Graduation Ceremony will be held from Tuesday, January 15 to Friday 18 of the same month. 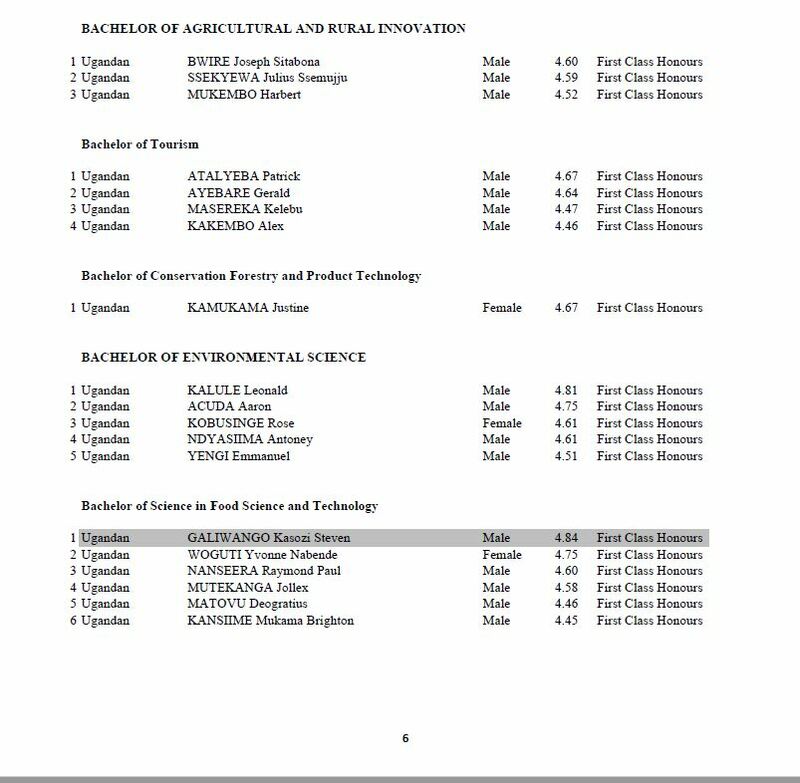 According to University academic registrar, Mr Alfred Masikye Namoah, 13,333 Graduands will receive their awards with 6,707 (50.3%) being female and 6,626 (49.7%) being male. 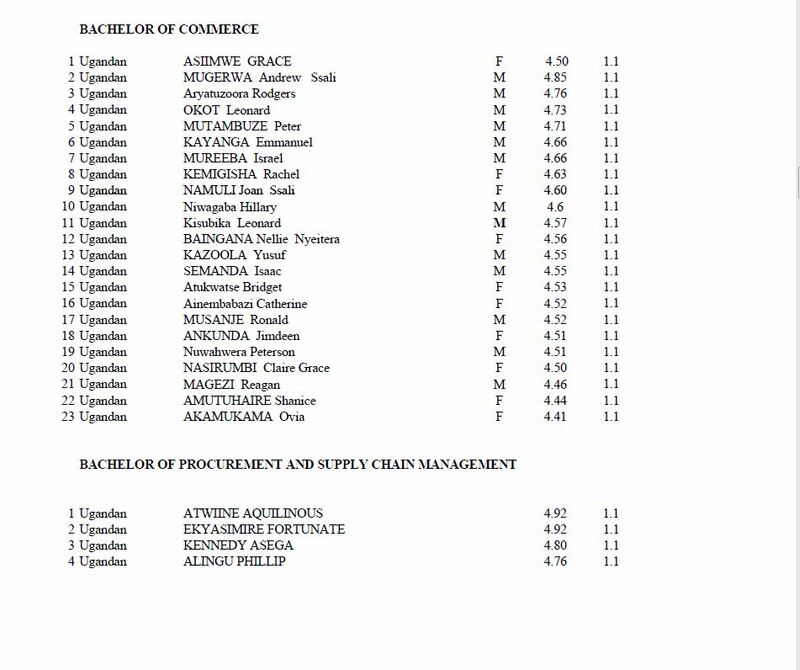 The list obtained by this website indicated that a total of 368 Graduands obtained a Cumulative Grade Point Average (CGPA) above 4.40 hence attaining First Class Degrees. 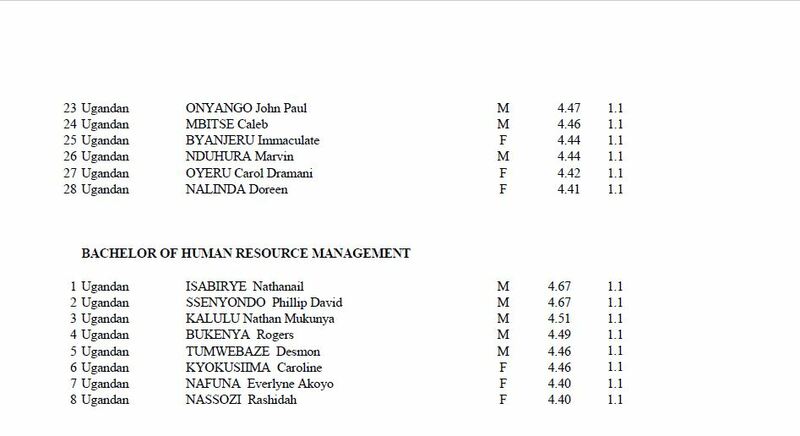 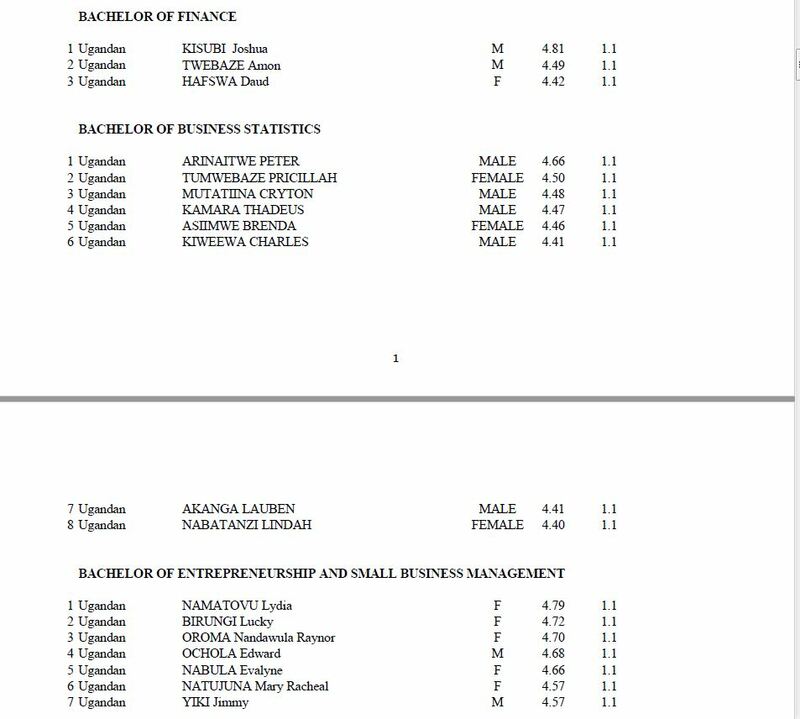 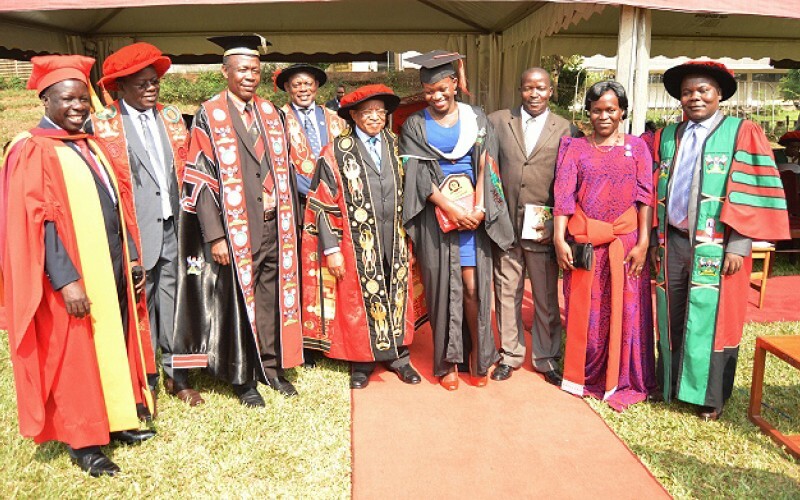 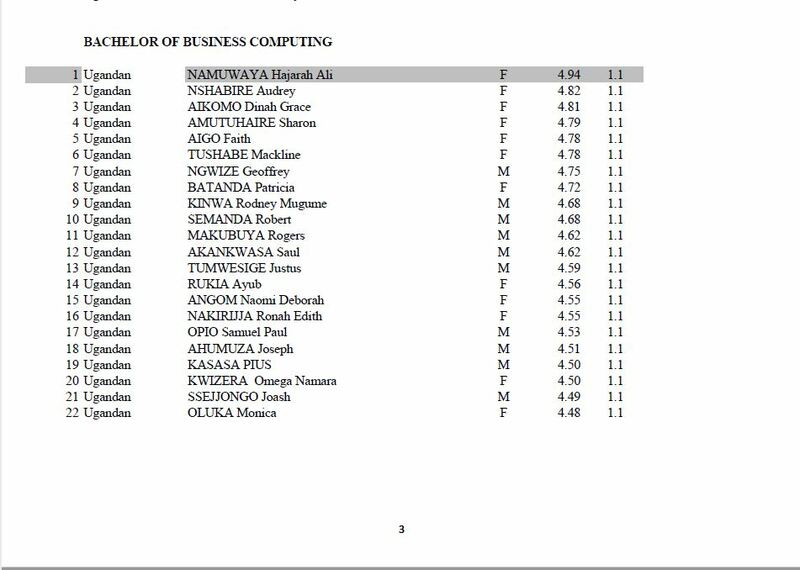 The best student in the Humanities was Namuwaya Hajarah Ali who obtained a CGPA of 4.94 in the Bachelor of Business Computing of Makerere University Business School (MUBS) while Galiwango Kasozi Steven came top in the Sciences with a CGPA of 4.84 in the Bachelor of Science in Food Science and Technology. 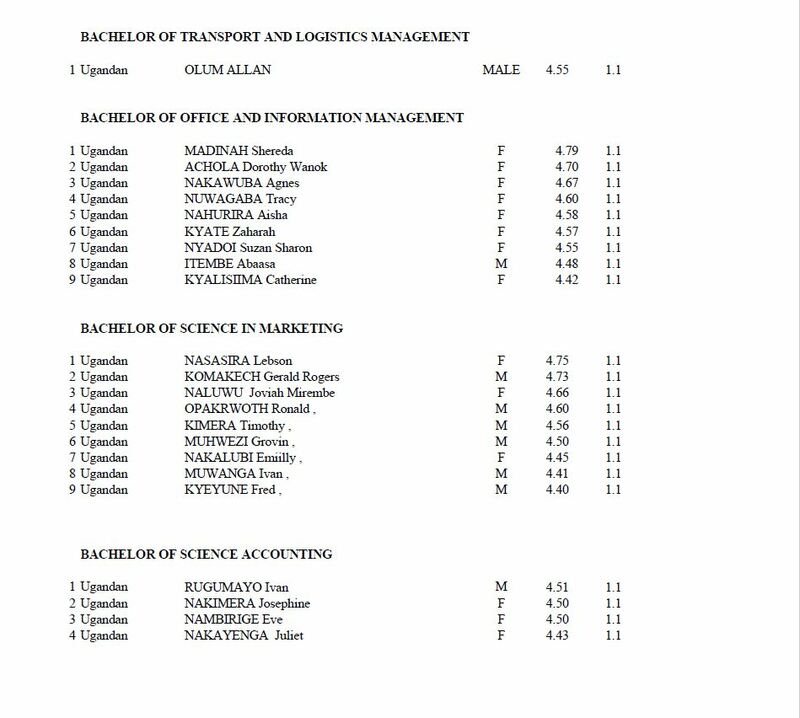 A source close to the matter said the full graduation list will be out on Wednesday.